Barack Obama in the view of her advisers. her argument that she holds an advantage in big general election states. She needs to lead in the total popular vote after the primaries end in June. delegates from primaries and caucuses. defeats in February. But that shot seems to have grown a little longer. it left the state’s delegates in limbo. an earlier primary held in violation of party rules. the two states she most needed to keep her candidacy alive. 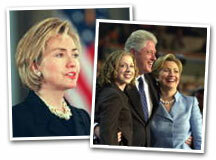 "I'm 100% with Mrs. Clinton, and I hope that she will become the first female president of the USA. I truly think that Obama is not ready to become president because he is less experienced than Hillary and the world needs an experienced president I think that Hillary is the right answer in our troubled world. I wanted to share with you this song I wrote a couple of months ago. It's called "Higher Ground" and it was released as part of 7th Sky magazine's recent edition about emotion. The song was inspired by an article I read by humanitarian Matt George. He was a surfer who turned to saving lives after the tsunami in 2004. I was impressed and humbled by what he does and wrote the song as a tribute to him. I recorded the track at home as there was no budget. Vocals, guitars and keyboard cello by me. Ambient sounds and mixing by Felix. this morning i went out and built a teepee in the dirt for my son's playmobil toys. the sun was shining. i have a stinking cough and feel awful, but the light coming through the trees spoke of good things in store. for all of us. oh, and i have a bag full of songs waiting to be let out. it's gonna happen this year. Does the Greenhouse effect and global warming up ring a bell? I hope it does. I decided to publish a song about this subject as an eye-catcher to warn you about the greenhouse effect because our world is dying if we don't do anything. episode of the tv-science program 'Cosmos' by Carl Sagan in the 1980's. Go to the section "Save our world" to see the video clip. I decided to dedicate this song to Carl Sagan and to the World Wilde Life Fund. 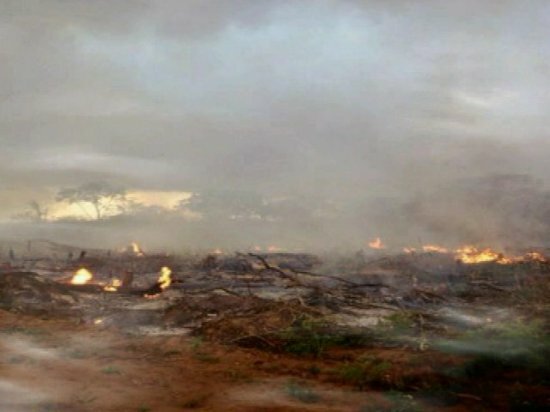 Go to the website of http://www.worldwildlife.org/ and make a donation if you care about Mother Nature. In the United States, Thanksgiving Day, always a Thursday, is part of four or five day long weekend which usually marks a pause in school and college calendars. Many workers (78% in 2007) are given both Thanksgiving and the day after as paid holidays, and others with leave benefits are allowed to take a vacation day. After Thanksgiving Day, the day after is known as the unofficial holiday of Black Friday, the beginning of the traditional Christmas shopping season. Many retailers open very early (typically 5 A.M.) and offer doorbuster deals and loss leaders to draw people to their stores. The Wednesday before Thanksgiving Day, and the following Sunday, last day of the long weekend, are typically two of the heaviest annual travel days for passengers airlines, intercity rail and bus services, and highway travel. 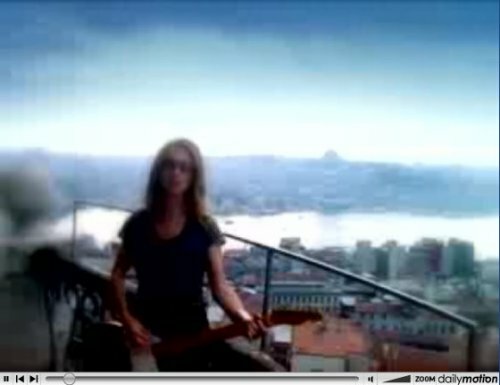 Go to the section "Multimedia, Video, Walk this world" to see the complete Heather Nova video clip. Did you know that there is a service on the Internet that cache websites? The Internet Archive makes it possible to go 'back in time' so that you are able to retrieve some information that otherwise would be lost. 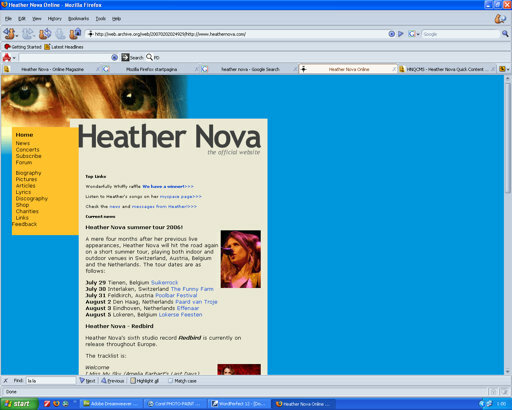 Click here if you want to know how the official Heather Nova site was in February 2007. 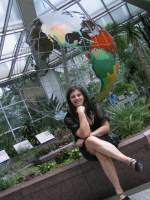 Go to http://web.archive.org/collections/web.html to find information about your favorite website. 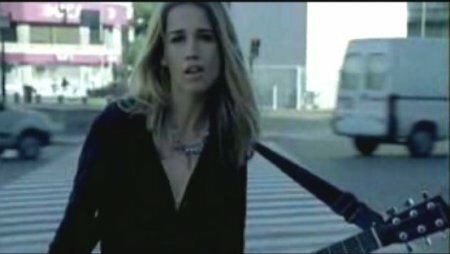 (Our site started in 2002, born out of a forum in 2001), the official Heather Nova site started in 1998, just like the old heathernova.org site that is now an online gambling site :-(. I decided to add a new category on our website: fun. Because I hope that this category will attract more visitors to our site and that would be good to support Heather Nova because the more visitors our site get will automatically increase Heather's name too. The first contribution for the fun category is a short computer animation I created with Poser 7, Mimic Pro and DAZ 3D studio. 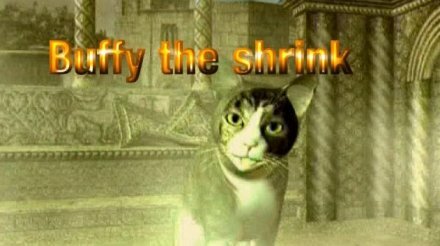 The animation is titled: Buffy the Shrink and it is a comedy about a cat who helps animals in need. The first episode of Buffy the Shrink is titled: 'dog issues'. Go to the section "fun, Buffy the Shrink, Buffy the Shrink part one" to see the animation. You can now watch the complete video clips of : Done drifting, Heart & Shoulder, Truth and Bone, I'm no angel, Renegade, Virus of the mind, Someone New, London Rain on our Online Magazine. You can also watch a live performance of Heather at Pukkelpop (thanks to Bernd Wenisch), a compilation of Heather's perfomance at Paard van Troje in The Hague (the Netherlands) and Fool for you (Live Session at RTL2 French Radio Station). 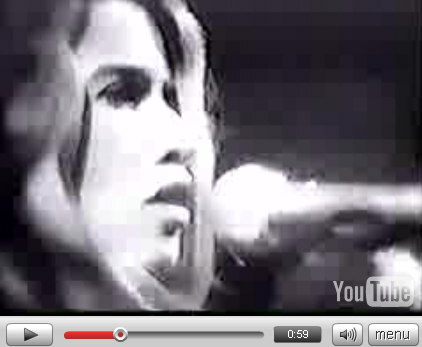 Dedicated to Heather Nova and her fans. Discussion board, interviews, music, links and other interesting topics. Go to the section "News Service, USA politics" to read the complete message. We would like to exchange links and have our link added to your link area or resource page. We will provide you a link in return. Let me know and I will set it up.